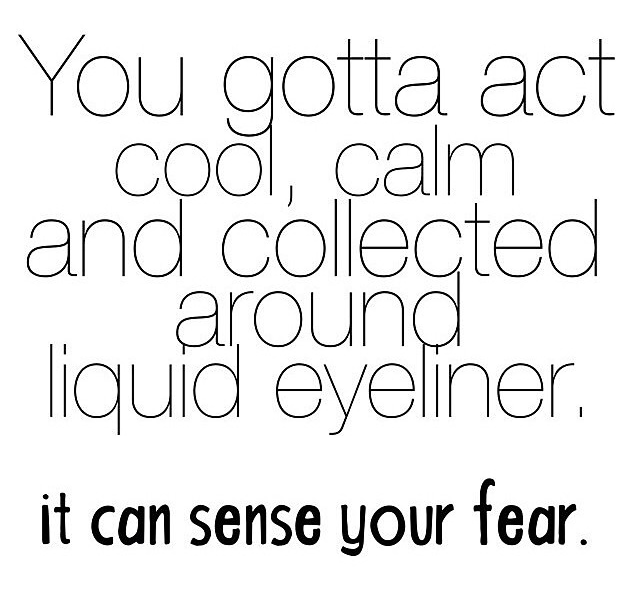 You gotta act cool, calm and collected around liquid eyeliner. It can sense your fear. This entry was posted in Make-Up, MakeupJoke and tagged buy china glaze online, Buy Deborah Lippmann online, buy Essie online, buy nail polish online, buy NYX Cosmetics online, buy OPI online, www.phoenixbeautylounge.com by phoenixbeautylounge. Bookmark the permalink. This is so true. As soon as I stopped being scared of liquid eye liner I started being able to use it ha.